DOW Filmtec BW30-4040 RO Membrane 2400 GPD, a 4" x 40" brackish water Reverse Osmosis Membrane that can provide RO quality water up to 2,400 gallons per day at a 15% recovery rate. It can operate at feed pressures ranging from 225 psi to 600 psi with 99.5% salt rejection. This element offers the highest quality water for medium-sized water treatment system that produce less than approximately 10 gpm (2300 L/h) of permeate. This membrane element features the thickest feed spacer (34 mil) available in the industry today to lessen the impact of fouling as well as a fiberglassed shells. 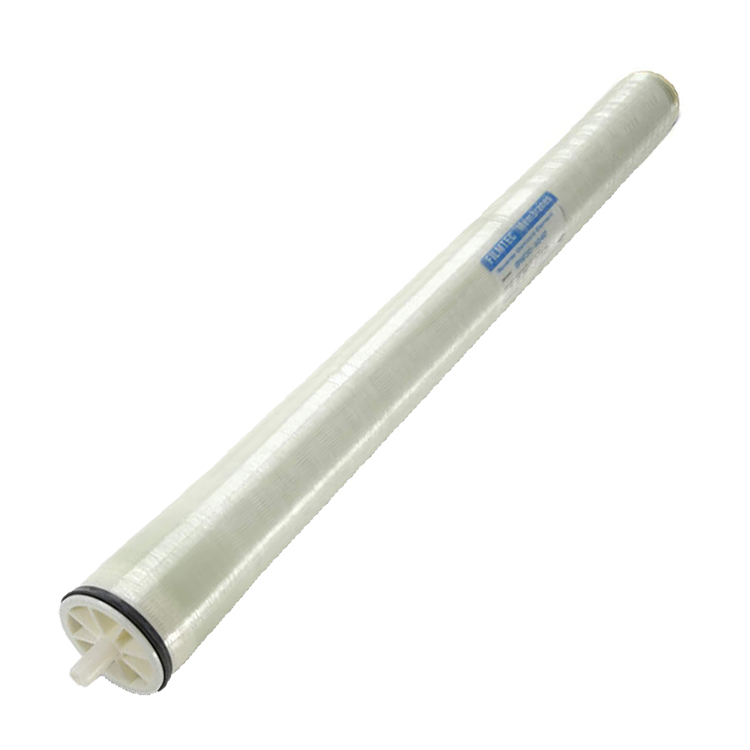 This membrane is a part of the "Fiberglassed Elements for Light Industrial Systems" line of products by DOW FILMTEC and are applied in industrial water demineralization, production of municipal drinking water, and water reuse. Its advanced technological design is manufactured for excellent structural stability and more productivity than other elements. Active Area: 78 sq. ft.